Text: Happy! Lined paper design. 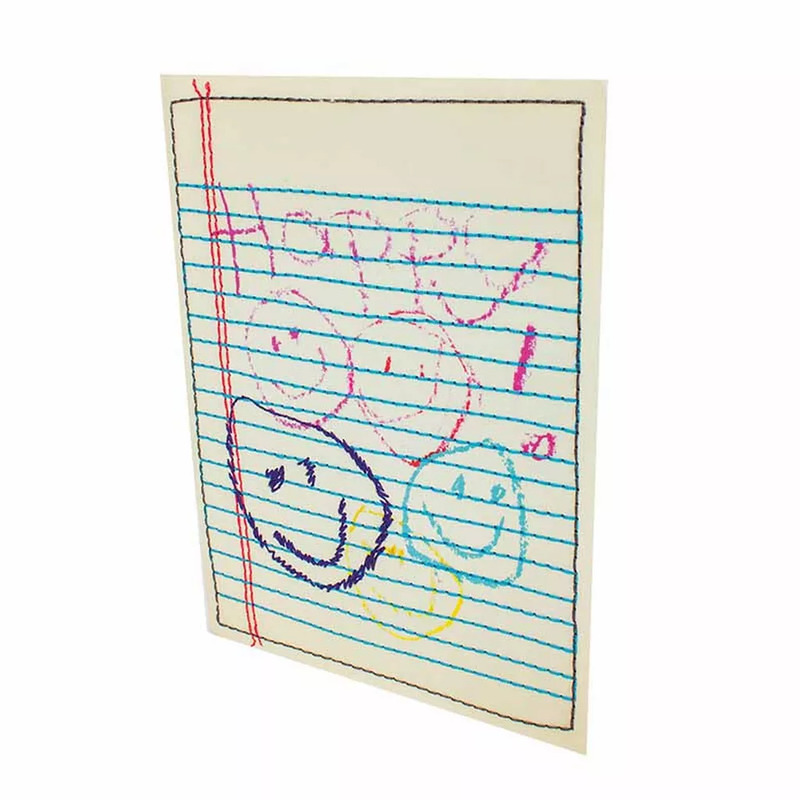 Five smileys drawn in printed crayon style.